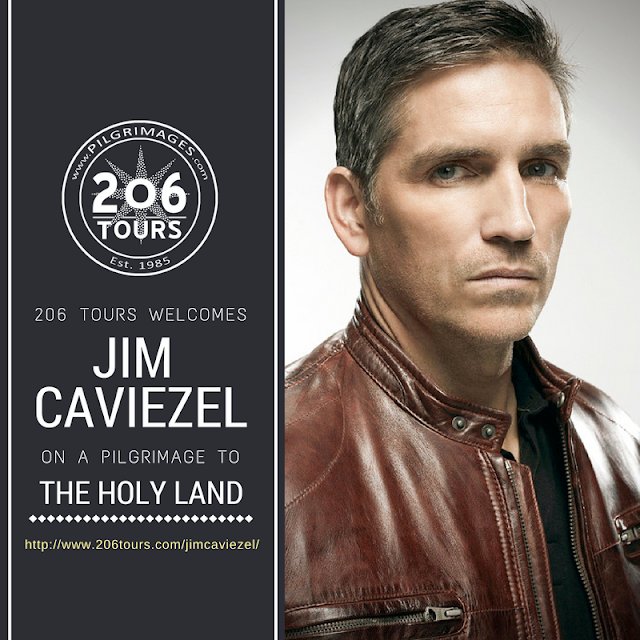 Visit https://www.206tours.com/ for more information about our Pilgrimages! One of our very talented Spiritual Directors, Father Peter Dugandzic, recently led a 206 Tours Pilgrimage to Fatima, Spain, Lourdes & Paris. He has been extremely gracious in taking the time to document his journey in a Video Diary – which we are happy to share with you! 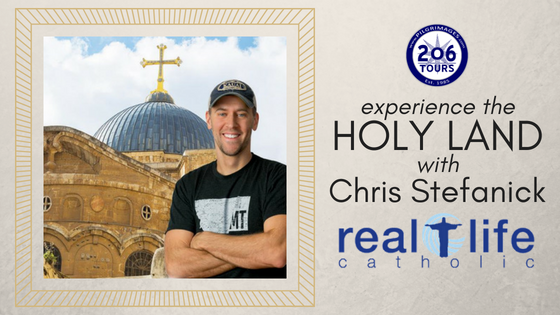 Click to watch the videos below, get a glimpse into what a 206 Tours Marian Pilgrimage is about, and to feel as though you are right alongside Fr. Peter in Portugal, Spain, and France! The group begins their Marian Pilgrimage in Lisbon, Portugal. Of all the things to see in Lisbon, the birthplace of St. Anthony of Padua is the most important. The group celebrated daily Mass at the Church that was built on the place where St. Anthony was born. The group celebrated Holy Mass in Santarem, at the Church of St. Stephen where a 13th century Eucharistic miracle occurred - before heading to the Shrine in Fatima. In Fatima, they visited the Hamlet of Aljustrel, the home of the three (3) shepherd children who witnessed Our Blessed Mother’s apparitions. After dinner, they joined the Rosary and Procession at the Shrine. In the morning, the group celebrated Holy Mass at the Chapel of the Angel of Peace (Little Chapel of Apparitions) in Fatima before touring the Shrine, and learning about the miracle that happened more than 100 years ago. After lunch, the group did the Stations of the Cross. The path for the Stations is the same route the children took from their homes to where they tended their flock, and where they saw the Blessed Mother. On this day, the group journeyed to Salamanca - a beautiful University city with an old and new Cathedral. They embarked on a walking tour which concluded with Holy Mass in St. Martin's Church. As part of our celebration, Fr. Peter blessed Pilgrims - George and Sandra - on their 32nd Wedding Anniversary! After departing from Salamanca, the group made their way to the village of Alba de Tormes, the place where Saint Teresa of Avila founded the Carmelite Monastery in 1571. While there, they celebrated Holy Mass, and had an opportunity to venerate St. Teresa’s remains. They continued to Avila to pray in the chapel where St. Teresa was born, and enjoyed the well preserved - and beautiful - 11th century architecture of the city. On this day, the group traveled to Loyola, the birthplace of St. Ignatius - and had the opportunity to visit his home, as well as celebrate Holy Mass in the room where he underwent his conversion. They proceeded to Lourdes, with a remarkable view of the Pyrenees Mountains. After dinner, they walked to the Shrine for the spectacular Rosary Procession. After Holy Mass at the Chapel of St. Gabriel, the group toured the city of Lourdes and the holy places from the life of St. Bernadette. Some of those sites include Boly Mill where she was born, the Grotto of Massbielle where Our Lady first appeared to her in 1858, the miraculous spring that has cured many, and the healing baths. The group then joined the Eucharistic procession where there is a special blessing for all the sick and infirm - here Fr. Peter said a special prayer for all of us! On this day Father Peter was asked to be the main celebrant for Mass in the Grotto, and a few of our 206 Tours Pilgrims served as Lectors. After Mass, the group walked the Stations of the Cross - which are uniquely carved into a mountain with life-sized figures featured in the Stations. The group offered a special prayer at the 12th Station. The group left Lourdes to fly to Paris where the celebrated Mass at the famous Basilica, Sacre Coeur, which translated means, “Sacred Heart”. The Basilica sits atop Montmartre Hill with a stunning panoramic view overlooking Paris. In Lisieux, the group visited the Basilica of St. Therese, and admired the magnificent mosaics and stained glass within. St. Therese was also known as “The Little Flower” and called, “the greatest Saint of modern times” by Pope Pius X. The group had the opportunity to view relics of her family, tour the Carmelite Convent she attended, and see her childhood home, Les Buissonets. The group then made their way to Normandy, the site of D-Day. Together they visited the Normandy American Cemetery, and Memorial to honor and pray for the many brave American soldiers who died on D-Day and in Europe during World War II. Watch Fr. Peter’s moving video from this experience. In Chartres, the group celebrated Holy Mass at the massive Cathedral Notre Dame. Here they observed the incredible stained-glass windows from the 12th and 13th century which is widely revered as one of the highest points of French Gothic Art. On the group’s final day of their Pilgrimage, they went to Rue de Bac and celebrated Mass at the Shrine of Our Lady of the Miraculous Medal - which holds the remains of St. Catherine Laboure. Then they toured the city of Paris, visiting the church of St. Vincent de Paul, returned to Notre Dame Cathedral, and the Eiffel Tower. For fourteen (14) days, Father Peter and his fellow Pilgrims visited many holy sites, Shrines, and Churches in the experience of a lifetime. 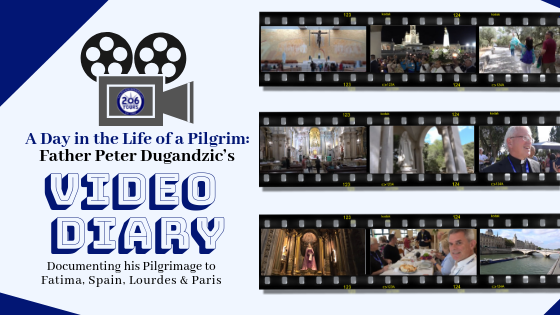 We thank Father Peter and his group of Pilgrims for giving us the opportunity to share in their experience through this wonderful video diary. Pilgrimage to Fatima, Spain, Lourdes & Paris. For more videos like these, SUBSCRIBE to our YouTube page! Dr. Scott Hahn Awards a NEW Priest in 2018!